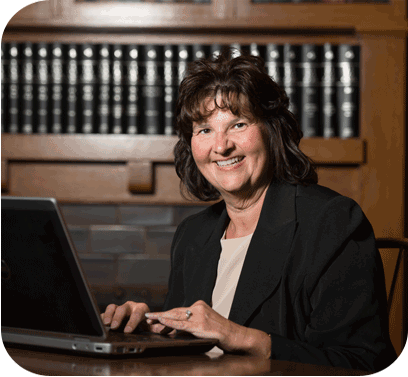 Lenora joined the law firm of Michael Layman Law Group., in 1985, and has over 28 years of experience as a Legal Assistant/Legal Secretary. Lenora is a native of Harrisonburg, Virginia, and graduated from Eastern Mennonite College. Upon completing her college education, Lenora joined the firm as Legal Secretary/Legal Assistant to Michael L. Layman. She has significant experience in various legal matters, including: Wills, Trusts, and other estate planning documents, documents and filings with respect to Estate and Trust Administration matters, corporate and limited liability company matters, and real estate matters. Lenora has also taught various Business Education Courses at National Business College, focusing on accounting, secretarial, and computer science. Lenora is very active in her church, Harrisonburg First Church of the Nazarene, having served as Sunday School Teacher, Pre-School and Elementary School Children’s Church Leader and Coordinator, and having coordinated, lead and taught the Vacation Bible School Programs (10+ years). Lenora is also very involved in her community as a Member of the Keezletown Ruritan Club for over 15 years, where she has served as President, Vice-President, Secretary, and currently serves as Treasurer (5+ years). Lenora is also a blood donor with Virginia Blood Services with 50+ donations of platelets and double red cells.